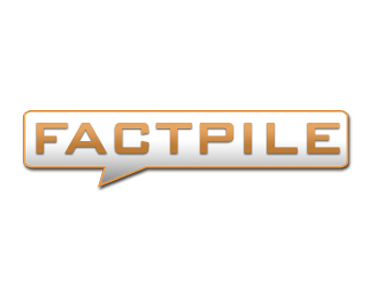 FactPile.com consists of readers from over 136 countries that come to help contribute to the unique content found only on FactPile. Here, readers are encouraged to submit battle requests of their favorite Video Game, Comic, TV, Book or Movie characters. There is also a community forum, FactpileTopia, in which the audience can join and become part of the pile. FactPile has very strong social engagement, both through the comments at 95 per post on average, and through a Twitter following of over 101,000. Description: This custom sponsorship opportunity not only provides the sponsor with a post on the FactPile website, but it will also be placed FactPile’s Google+ page, tweeted to over 101,000 FactPile twitter followers, as well as directly tweeted to influential followers of FactPile who very often favorite/retweet in order to maximize the sponsor’s exposure. Requirements: Include all information necessary about the product or service. The post must be relevant to the FactPile community. Description: This will be a sponsored review placed on FactPile.com’s website. It will be the top front and center page post for at least 12 hours in the first day. Description: Sponsor’s link and message will be tweeted at least once and up to three times with the goal of having it retweeted by as many as possible. Requirements: URL to tweet plus a short description of the product or service. Description: Opportunity to place a custom, clickable background skin across every page of FactPile for one week. 1. The horizontal area below the header and above the website’s content will be the only clickable area of the advertisement and should have the majority of the informational content. Description: Endorse an upcoming featured battle. The first line of the post will be “Brought to you by [Your Company URL]” which will remain on the battle permanently. Requirements: Provide a short description of your product or service along with a URL to link to. State any preferences about what type of battle, although it can’t have been done before, otherwise FactPile will choose a creative and relevant battle to your company. Consumers of Video Games, Comics, Books, TV and Movies.